The first I LOVED the colors together. 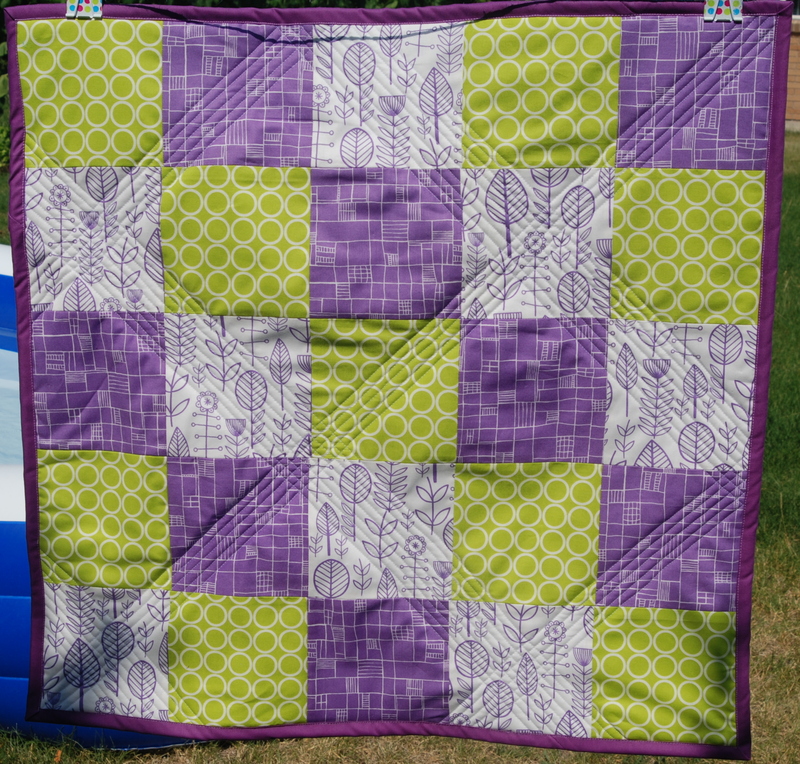 The purple & white ones are from the Summersville line by Moda, and the green is Metro Living Circles by Robert Kaufman. When I saw them I knew they needed to be together! 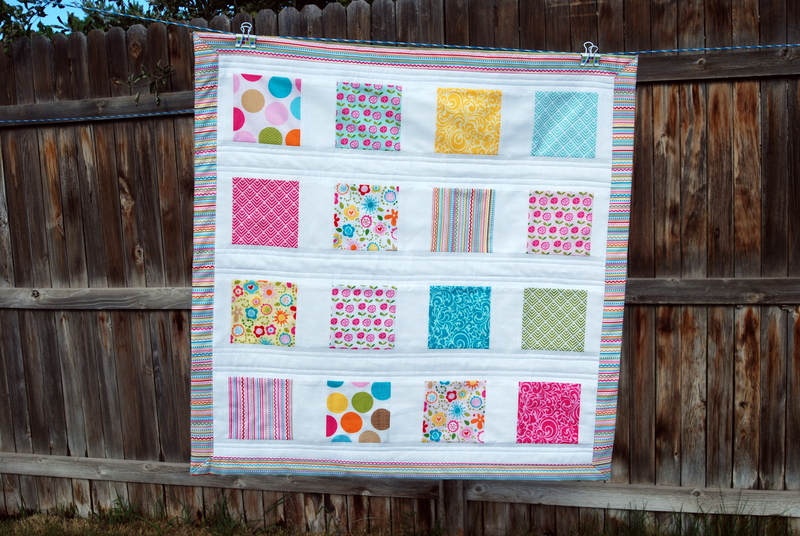 For this quilt I stepped a bit (ok, a lot) outside my comfort zone and did some different quilting. I was happy with the end look, but need a little work to get less puckering next time. 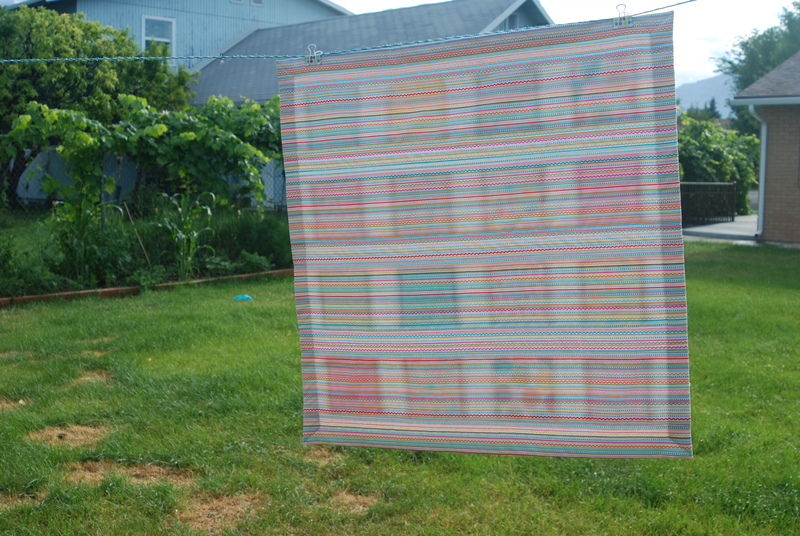 The front is 6″ squares, and the back I pieced a strip of various widths with white above and below. In the end I really ended up liking the back more than the front. 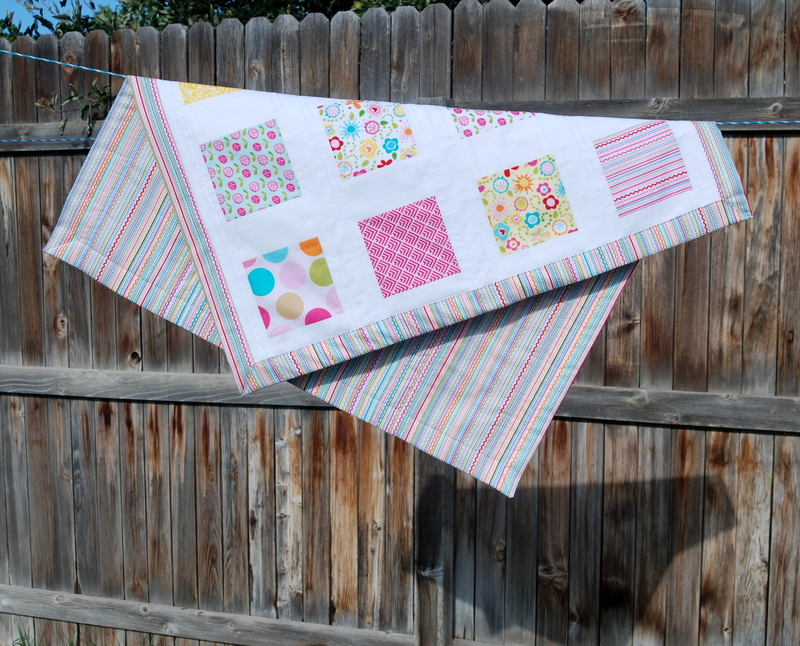 Another quilt I made around the same time was this little one featuring the Summer Breeze line by Bella Blvd. for Riley Blake. I loved these prints and wanted to showcase them in their own special spots, so I made big white borders for them. This was made from a charm pack and white fabric. For the back I used a print from the same line, and bound it using the backing. 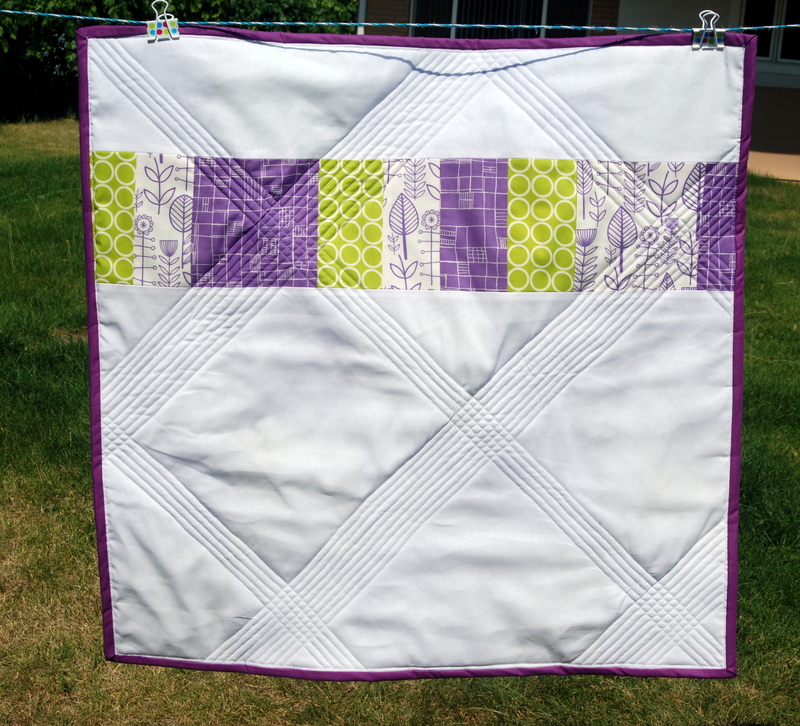 Here is a great tutorial from Cluck Cluck Sew which is more or less how I did it. I love how it turned out (but maybe I am a little biased) and this one is still in the shop!